It’s been 11 years since the Florida Legislature and then-Gov. Jeb Bush approved UCF’s new medical school. 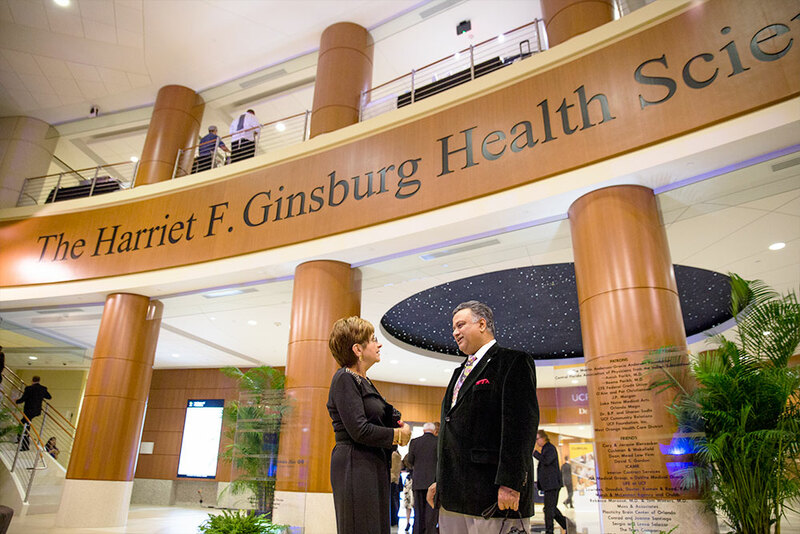 As the university prepares to expand our medical offerings to include a teaching hospital, we look at 10 numbers that set the College of Medicine apart from similar programs in the nation. The amount the 41 members of the school’s charter class, which matriculated in August 2009, had to pay in tuition. 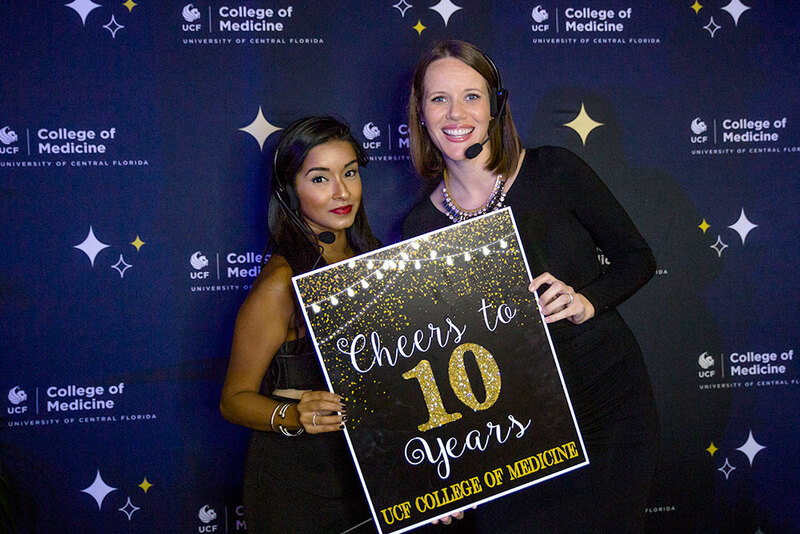 Each student received a four-year scholarship, making UCF the first medical school in U.S. history to provide full scholarships to an entire class. 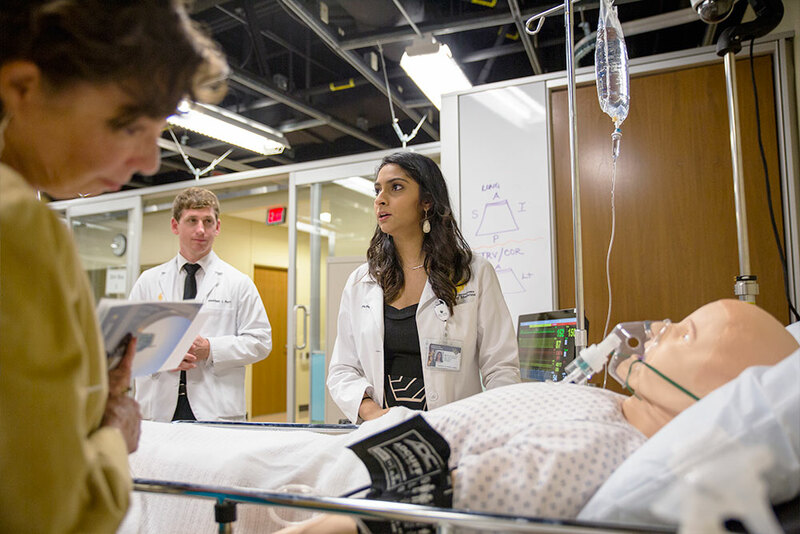 The acceptance rate for this year’s class, making the College of Medicine one of the most selective programs in the nation with rates comparable to Harvard and UVA. Physicians who have graduated from the program and are working in health care facilities across the nation, including Florida Hospital, Georgetown, Harvard, Jackson Memorial Hospital in Miami, Johns Hopkins, Orlando Health, Stanford, UCLA, UF and USF. New residencies to be created in Florida by 2020, thanks to a partnership with Hospital Corporation of America. Percentage of the college’s Health Sciences Library that is digital, allowing students and faculty to access learning materials 24/7 on any device. Students looking for a more customized approach can turn to their personal librarian — every student is assigned one for research and analytic support and data collection. Physicians in training at the College of Medicine. In fall 2016, the school reached full enrollment. Undergraduate and graduate students in the Burnett School of Biomedical Sciences. 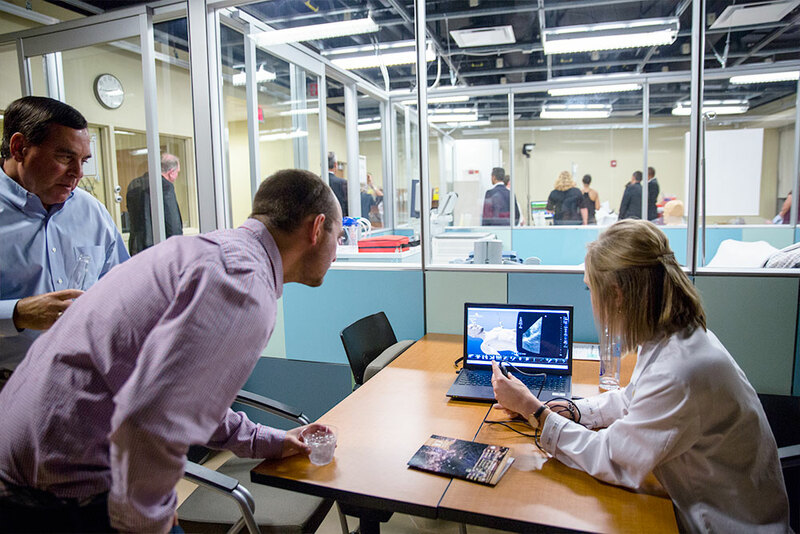 The College of Medicine is one of the only medical schools in the nation that includes undergraduate students. As part of the program, they conduct research on diseases that plague humanity. 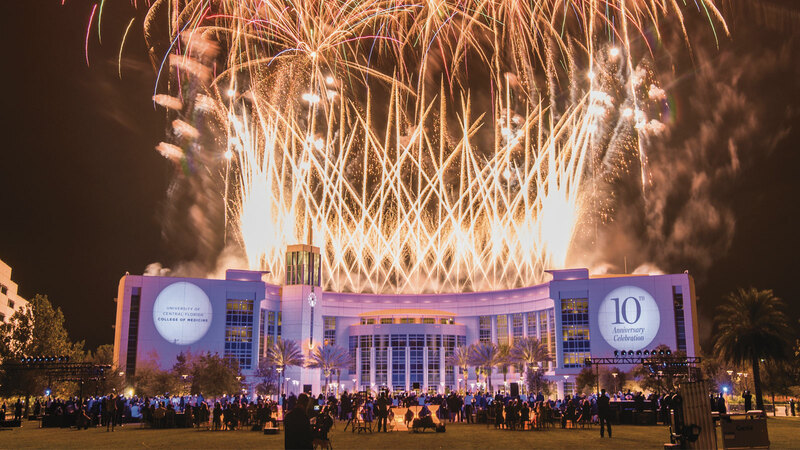 UCF’s 2017 residency match rate, which is higher than the national rate of 94.3 percent. Years of research required to investigate and solve patient problems, which is not common among M.D. programs. As a result, many medical students present and publish research at local, regional and national events before graduating. The Class of 2017’s average on the clinical knowledge portion of the United States Medical Licensing Examination. The national average was 242. Every year, Dean Deborah German asks all first-year students what traits they would want in a physician if the person they love most became ill and needed treatment. The responses are written on a chalkboard and displayed the rest of the year as a contract the students make for how they will care for others. Story updated May 17, 2017.